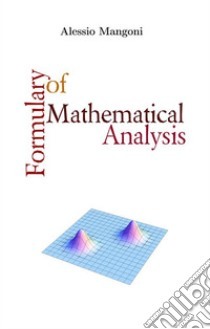 In this Formulary of Mathematical Analysis are presented the most important and useful formulas of analysis. The principal arguments are mathematical analysis and complex analysis. The last chapter is for constants and symbols. Author: dott. Alessio Mangoni.